In our current valve markets, high-pressure valves still rely on imports except that low-pressure valves have reached a level acceptable to the international market. Under the situation of macroeconomic continuing to look promising, a majority of production and sales targets in the valve industry maintain a rapid growth, but the industrial sales revenue and profits are in great decline compared with last year due to the impact of a price war. With the world economic recovery,the import and export of China valve products also increase slightly while the competition of the international valve market get more and more intensified. 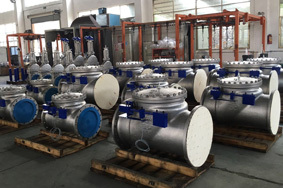 The technology of electric control valves will become a bottleneck restricting the development of China valve products In a quite long time for there is still a large gap with foreign large manufacturers on the high-end technology. 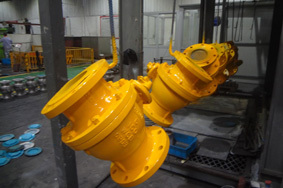 Therefore, it is a top issue which China valve industry needs to break through in the future development to improve the level and grade of valve products .Great depression on the whole valve industry result in the backwardness of China valve product, which is the important factor restricting the development of China valve products. The "west-east gas pipeline " project organized by the government before that many local valve businesses brush past. Except for major environmental factors,some other factors such as backward equipment and technology,low specialization level,small market size,ect. is also a bottleneck restricting the development of the valve industry. For the domestic valve industry, there is a large gap between the inland and the coastal. The inland valve industry starts lower, small scale, low specialization level, not high marketization degree, which widens the gap with the coast and also leds to the unbalanced development of the domestic valve industry.The domestic valve industry arms itself by getting rid of the current dilemma, breaking the constraint of bottleneck, seeking for a new development space, introducing foreign advanced equipment and technology. To hold his position in the fierce competition is bound to take corresponding measures. 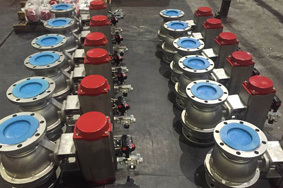 It is reported that foreign investment will gradually enter China valve industry in the next course of time,which undoubtedly is a strong stimulus for the domestic valve industry. Although at present the momentum of development of the valve industry is going strong; national supportive policies makes a big difference in it; The market demand is also increasing; The valve industry also makes correlative technique on the domestic valve keep improving due to fierce competition in the industry, many interference factors show that the development prospect for the valve industry is not optimistic. For some competitive valve companies, the enterprise size get more and more big through competition, and visibility get more and more high. But for some small and medium-sized enterprises with no competitiveness, it may face a risk in being mergered or going bankruptcy. In the valve market with a increasingly fierce competition, companies with the core competitiveness can survive in the market.